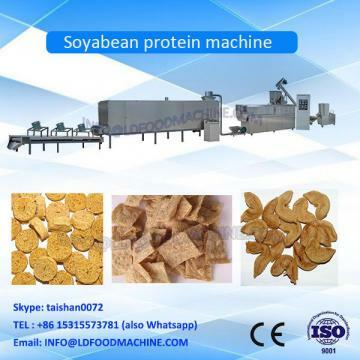 1).The soy protein making machine is the Customized soya protein TVP chunks snack making machinery botanical protein food process line which is developed independently according to our national conditions on the requirement of market and on the base of advanced machinery in Switzerland and America. Customer come to our factory to inspect the machines. The inside structure of our twin screw extruder. 60HRC.. The barrel also use good material, hardness is 55HRC. The gear box has forced lubrication system. All motors can be adjusted the speed by Inverter. The Extruder can change different molds to produce different Shapes product. Press the TVP and pull it. To cut the TVP into different length. 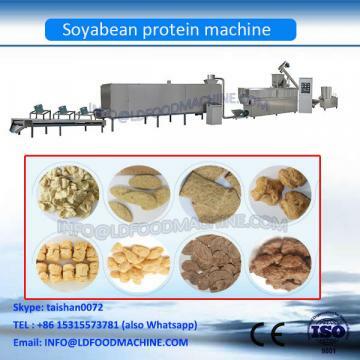 The pullling speed and cutting speed can be adjusted by the PLC control system. There are Five layers inside,each layer is 8 meters long, it can save space and energy. Electricity heating,used to bake and dry food. The belt and the cover are all stainless steel. Have fan to blow the pet food.